To provide effective assistance to your customers, you can request a co-browsing session to see your visitor’s screen. 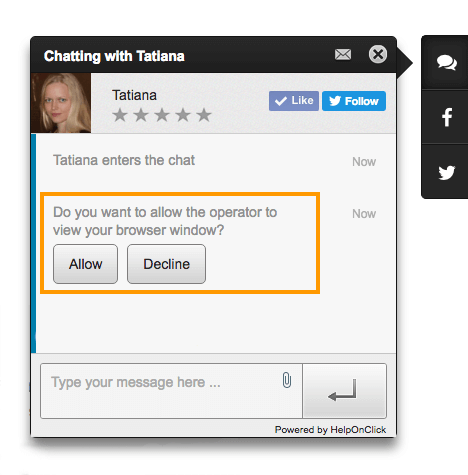 To request a co-browsing session, click on the “Request co-browsing session” icon on your chat toolbar. The visitor will need to accept or decline your request. 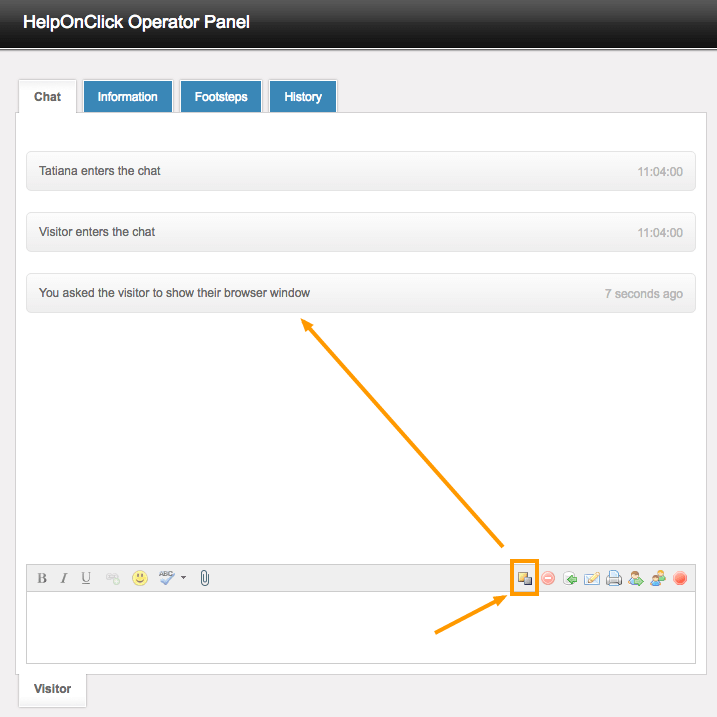 Once the visitor has accepted the request, you are able to see their screen in a pop-up window in your operator panel. You can resize, scroll and move the window. 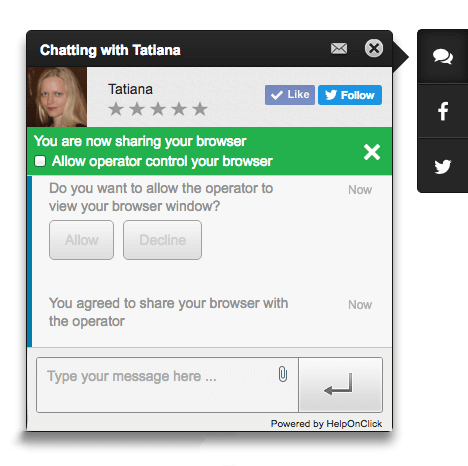 Chatting is active in the cobrowsing mode. By default, you are only able to see the entire visitors’s page and cursor location. When you scroll down the page, you may notice, that the page becomes grey. That means that this part of the page is not currently on the visitor’s screen. So you always know what the visitor is currently looking at on their screen. You can request the visitor to grant you access to control their browser. 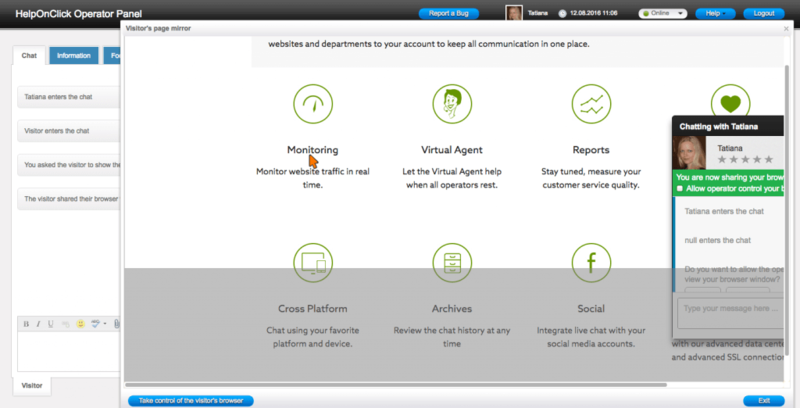 Active mode will allow you to guide the visitor through your website. As well as visitors can grant you access on their side without waiting for your request. 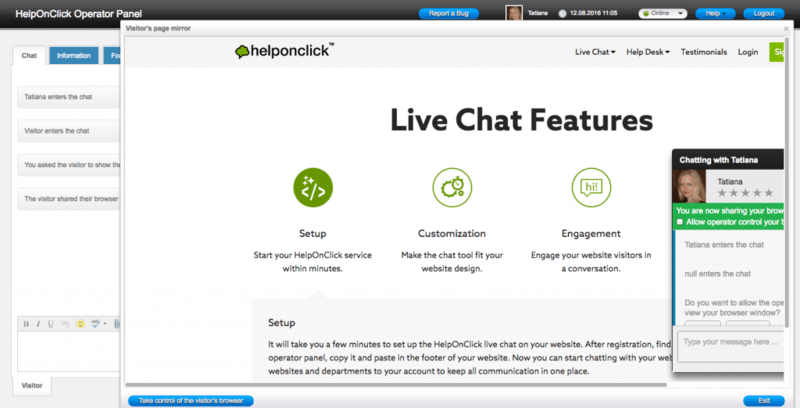 Browser sharing is only available on the pages where the HelpOnClick live chat tool is installed. The co-browsing session is secured. Operator is not able to start a co-browsing session without the visitor’s permission. As well as operator is not able to take control of the visitor’s browser without the visitor’s permission.